SUSAN BLAIR has a birthday today. SUSAN BLAIR added a photo to profile gallery. SUSAN BLAIR joined via Class Connection Facebook app. SUSAN BLAIR updated profile. View. SUSAN BLAIR changed "Now" picture. 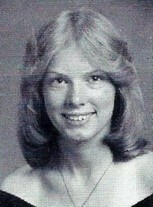 SUSAN BLAIR changed "Then" picture. SUSAN BLAIR changed profile picture.